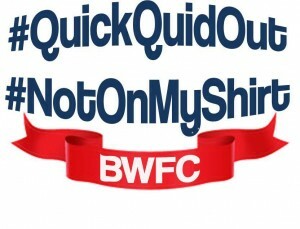 Bolton Wanderers have ditched payday loan firm, QuickQuid, as their sponsor, exactly a week after the deal was first announced. The club added that it had “taken on board feedback” from its fanbase as well as local and national politicians and the Leader of Bolton Council. “Whilst we anticipated some negative responses from the initial agreement, we underestimated the adverse reaction to the sector of business in which the sponsor operated,” read the statement. The club has already found a replacement, with the help of the University of Bolton. From next season, their shirt sponsor will be FibrLec, a local sustainable energy company, specialising in commercialising the university’s smart materials. The FibreLec logo, which incorporates the University of Bolton logo will feature on the club’s match kit and training kit for the next 2 years. “The university already has a close working relationship with Bolton Wanderers in the field of sport and exercise science and sports rehabilitation for elite athletes. This latest venture builds further on this strategic partnership,” added Vice Chancellor Dr George Holmes. Meanwhile, the club has revealed a new “modern, cleaner and dynamic” crest, which has been designed following feedback from supporters. Fans said they wanted Bolton’s long history to be reflected in the logo. The existing ribbon design will remain in place as the club’s stadium crest.